Reason for inclusion: The Three Colors trilogy is widely considered to be among the best trilogies in history, and it has been a major blind spot for me. 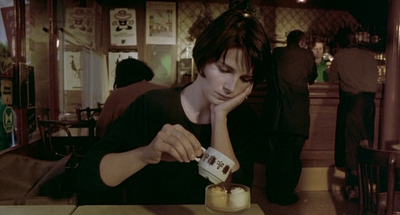 I had also never seen a Krzysztof Kieslowski film. 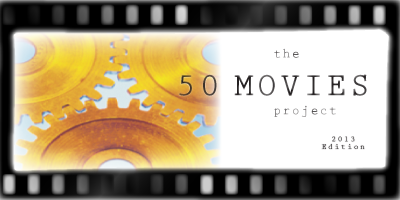 When I started working on my list for this year’s project, I created a basic rule of allowing just one film per director. However, I made one exception: Krzysztof Kieslowski’s Three Colors trilogy, which I had heard so much about over the years. 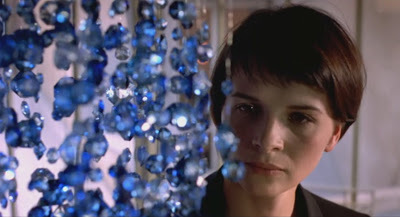 The Three Colors trilogy — Blue, White, Red — shares the same colors as the French flag, and each film is loosely based on that country’s political ideals. With Blue, the common theme is liberty, but not in the way you might expect. Juliette Binoche stars as Julie, the wife of a famous composer, who is dealing with an unbelievable amount of grief. Her husband and young daughter have perished in a horrific car accident. Only she survived. In the aftermath of the accident, Julie begins liberating herself from anything and everything related to her family in an attempt to find emotional freedom. She gets rid of all of their belongings, puts their majestic mansion on the market and finds herself a one-bedroom apartment in Paris. Her goal is to shut herself off from the past and start her life over again. Of course, it’s never that easy. Since her husband was a beloved composer, his face is all over the news. Certain bits of information about him are revealed — things Julie was completely unaware of. It seems everywhere she goes she is painfully reminded about her past. It’s downright amazing that Julie is able to keep herself together through all this. To top it off, she’s actually being *nice* to people. She goes out of her way to help those who she has no obligation to, including some who could easily have ruined her life. Julie is an incredibly complex character, and she tackles grief in unanticipated ways. This is very much a one-woman show, and Binoche delivers a heartbreakingly beautiful performance. There are others in the film, such as Olivier (Benoît Régent), an acquaintance who has always had feelings for Julie, but the focus is always very much on Julie. The color blue comes into play quite often. There are glimpses of the color everywhere, from the water in Julie’s favorite swimming pool to the chandelier of blue beads that once belonged to her daughter. Music is also a vital part of the film, and Zbigniew Presiner’s emphatic score is a perfect fit for the emotions on screen. Blue is a tragic, complicated film. Its subject matter does not make for an easy watch, but there is something mesmerizing about the film, especially Binoche’s performance. If there is a better depiction of grief, I have yet to see it. If you are watching Three Colors for the first time, this will be a great experience for you. Glad you liked Blue so much. Red is my favourite of the three but I think Binoche’s performance is absolutely amazing, could be one of my all-time favourites and score of this film is one of the best I have seen as well. Yep, this was my first time watching the trilogy. I watched all three within a two day span, and I’ll have my writeups of White and Red ready next week. I will say that Blue was my favorite of the group — not the most popular opinion, I know. All three are quite good though. Nice review. Glad to hear it’s great. I have the trilogy on blu ray and hope to watch it within the next few weeks. Thanks. I’m curious to hear which one is your favorite. It seems most gravitate toward Red, but I loved Blue. You’re right, a sublime depiction of grief. Everything in Blue is top notch, performances, the score, visually. I’ve seen it at least 5x and not tired of it yet. For me, about how she can’t live happily in complete isolation, yet at the same time she needs that space to grieve. So I agree, it’s complicated! Very complicated indeed. Didn’t know you were such a big fan of this one — is it your favorite of the trilogy? I’m a big fan of all three films in the trilogy. I’d say Three Colors: White is my favorite. You can check my full reviews, for my thoughts on them. Good stuff Eric! I just recently purchased the trilogy but I’ve yet to find the time to sit down to them. I’ve seen Red but haven’t seen Blue or White yet. Can’t wait to go through them. Nice! It seems everyone is picking up this trilogy lately. 🙂 Hope you end up writing about them — would love to read your thoughts. Nice review, Bincohe is so amazing in this in her ability to convey emotion with the smallest nuance, her face after learning about the crash is so filled with deep emotion. Thanks! Yeah, Binoche is nothing short of phenomenal in this. One of the better performances I have seen in a while, actually. Blue is my favorite of the trilogy, though Red isn’t too far behind. And White isn’t half bad. Was this your first Kieslowski? Yep, this was my first Kieslowski. I’ve heard a lot of great things about The Double Life of Veronique as well, so I hope to see that soon. Hi Eric!! I’ve been meaning to check this out for ages, and your review convinces me even more that I need to do that soon. Binoche is such a sublime beauty. Hi Ruth! Glad to see you back in the blogging world. So sorry, again, for your loss. 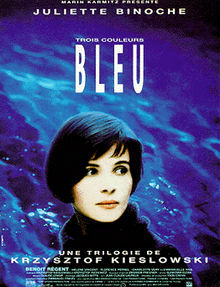 Blue is definitely worth a look at some point, especially since you’re a fan of Binoche. Just be warned that this is a very bleak film. The trilogy is definitely worth your time, Nostra. Would be curious to hear which ends up being your favorite.